Thousands of delegates attending the Democratic National Convention are expected to begin celebrating Hillary Clinton's coronation as the party's nominee at a Thursday afternoon concert in Camden featuring Lady Gaga, Lenny Kravitz and DJ Jazzy Jeff. "Camden Rising" will highlight the ongoing transformation of Camden just hours before Clinton, the first woman to win the presidential nomination of a major political party, delivers her acceptance speech at the Wells Fargo Center in Philadelphia. The concert is being billed as one of the largest entertainment events in convention history. Tickets to the show, which will be held at BB&T Pavilion, were made available to every delegate and thousands of other invited guests, including Clinton, her husband Bill, and other prominent Democrats. Thousands of other tickets were distributed to community groups in Camden. Kravitz will kick off the 1 p.m. concert following a brief introduction. 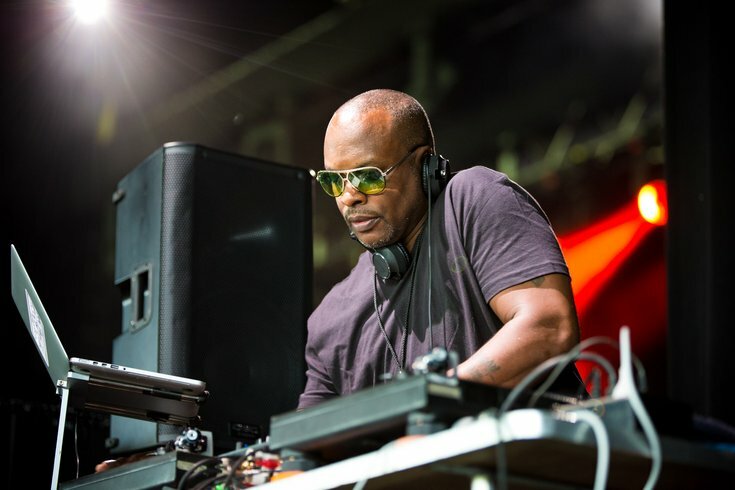 DJ Jazzy Jeff will host an intermission before giving way to Lady Gaga, an ardent Clinton supporter. The show is expected to wrap up by late afternoon. Then the delegates will head once more to South Philly for the most anticipated night of the convention – Clinton's address to the delegates. "Camden Rising" is being hosted by George E. Norcross III, a member of the Democratic National Committee and chairman of Camden's Cooper University Healthcare and the MD Anderson Cancer Center at Cooper. His brother, U.S. Rep. Donald Norcoss, will attend as a special guest. The concert is being produced by Live Nation. According to PATCO, trains will depart every 10 minutes between 10 a.m. and 2 p.m. from 8th and Market streets in Center City to the Broadway Station/Walter Rand Transportation Center in Camden. More info here. The RiverLink Ferry leaves from 211 South Columbus Blvd., next to Independence Seaport Museum, and docks next to the Adventure Aquarium. For those who drive to the ferry, 24-hour parking will be available at Penn's Landing at Columbus Boulevard and Walnut Street or Columbus Boulevard and Market Street. More info here. FULL DISCLOSURE: "Camden Rising" is being sponsored by George E. Norcross III, a member of the Democratic National Committee and the chairman of Camden’s Cooper University Healthcare and the MD Anderson Cancer Center at Cooper, and Susan McCue, the former chief of staff to Senate Democratic Leader Harry Reid and co-founder of Senate Majority PAC, and features special guest Congressman Donald W. Norcross. PhillyVoice.com is the official media sponsor of the event. PhillyVoice.com Executive Director Lexie Norcross is the daughter of George E. Norcross III and niece of Congressman Donald W. Norcross.